GMB protest on Tuesday 14th February over Haringey Council giving £2 billion of Council property to private developers. 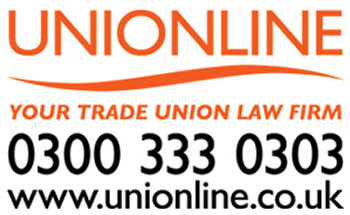 GMB Welcome court of appeal decision to reject Pimlico plumbers appeal over worker status of former worker. Staff at King Georges Hospital, Ilford, have reacted angrily to the instant dismissal of a trusted colleague. New homes well below growth in population in 30 boroughs in London GMB study shows in response to government housing white paper. GMB London calls for consultation launch today to be the final round in go ahead for 3rd runway at Heathrow. GMB London calls on Government to add local dimension to new industrial strategy as study shows 16 areas in London falling below UK average for economic prosperity. GMB London study shows the GDP per head in 2016 has recovered to 2.1% above 2007 level after 7 years of falling GDP per head since the recession. July tribunal date set by London hearing today on Addison Lee unfair dismissals cases.